The amount of recirculated exhaust gas depends on the throttle valve position and back pressure in the exhaust manifold. Above a coolant temperature of 30° C, and depending on the throttle valve position, the center chamber in the EGR valve will receive vacuum. The upper chamber is vented to the atmosphere. 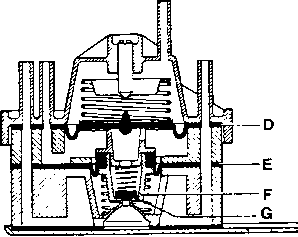 Depending on the amount of vacuum, the switching diaphragm (A) will be pressed down against the spring force, to open the valve. 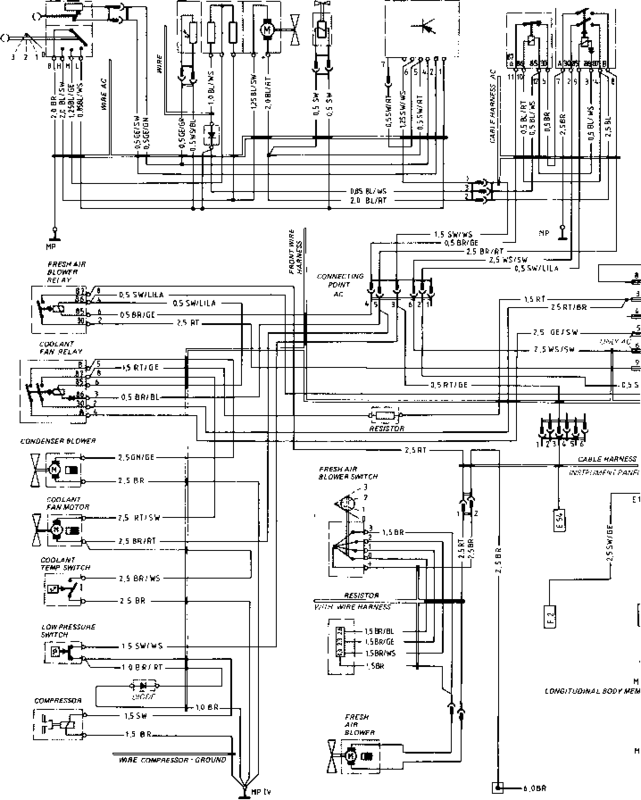 The EGR amplifier controls the amount of E.G.R. 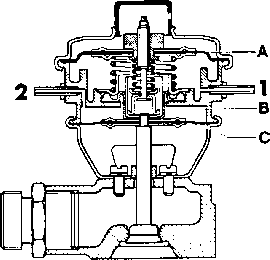 valve opening dependent upon exhaust gas back pressure. The EGR amplifier is divided into three chambers by two spring-loaded diaphragms (D and E). Both diaphragms are connected by a diaphragm holder (F). The exhaust gas back pressure acts on the upper diaphragm chamber. The center diaphragm chamber is constantly vented by the atmospheric pressure in front of the throttle valve. 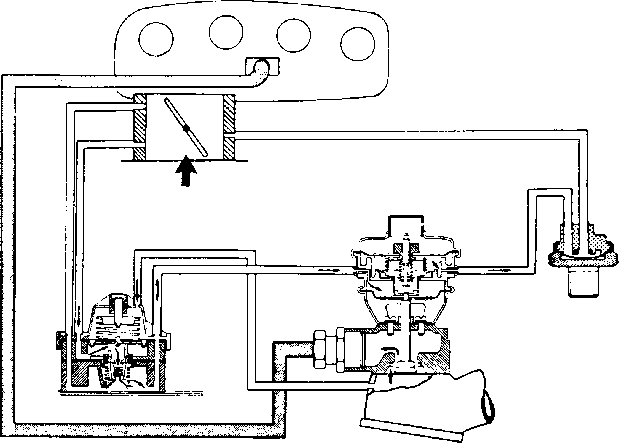 The lower diaphragm chamber is under vacuum or vented depending on the exhaust gas back pressure. There is EGR: 1. When the coolant temperature has reached 30°C (temperature valve is open). 3. When driving with accelerator pedal held constantly in partial throttle range. There is no EGR: 1. When coolant temperature is below 30° (temperature valve closed). 2. When coasting (throttle valve closed).